An unexpectedly crazy year has caught up with developer Bohemia Interactive. It's been a wild year for developer Bohemia Interactive. First, zombie survival mod DayZ made its Arma II title one of the most popular purchases around. Then, two of its employees were detained in Greece on a spying charge which remains unresolved. 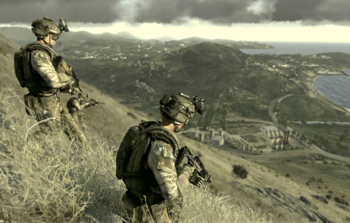 And now, it's highly-anticipated release of Arma III has been pushed back from its 2012 launch window to 2013. The company worded the delay announcement delicately, noting "The additional development time enables the project to reach its full potential, with the studio expecting to finalise their release plans in the new year." In regards to his jailed colleagues, Arma III Project Lead, Daniel Musil is understandably confused given the events that have transpired thus far. "We're still trying to make sense of the situation and hope that our colleagues will be released soon," he explains. "Although their plight has certainly affected us on a personal level, we continue working on the tasks identified as key to the release of Arma III." The developer remains committed to progressing on the Arma III project despite the unexpected events of the year, but as far as delays go, this one is more than understandable.